Membership for one year.​The subscription fees below are annually based and operate on a rolling 12 month basis e.g. if you join on November 1st 2018 your membership will last until October 31st 2019. The fees below are inclusive of 23% VAT. 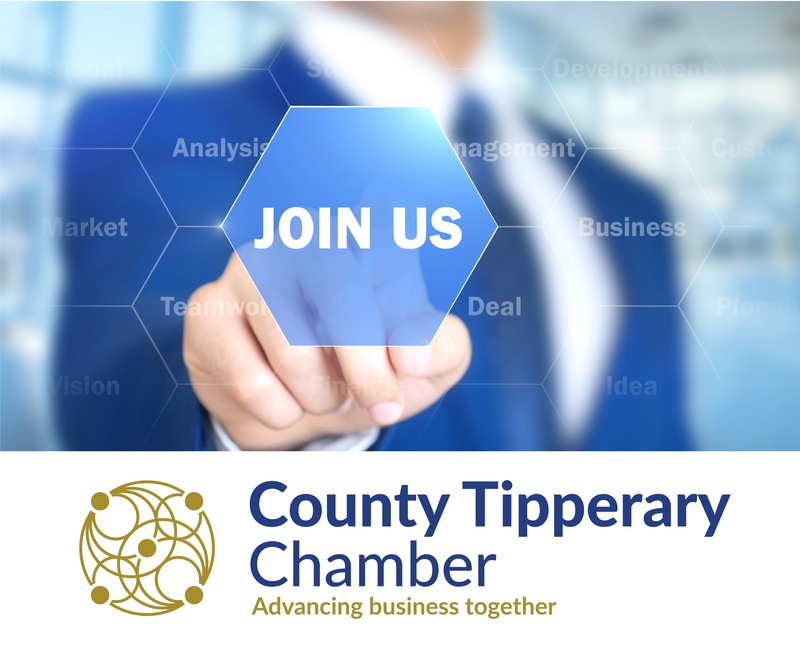 If your company is VAT exempt and can provide the relevant VAT exemption documentation please contact us and we will send you a link that you can use to join County Tipperary Chamber. MEMBERSHIP FEES ARE TAX DEDUCTIBLE! Remember that your fees are tax deductible and the Chamber Newsletter/Social Media platforms and website are FREE marketing tools for your business. As part of our autorenewal process you will be sent an email to your contact address 30 days before your annual membership ends. If we do not receive any response to this email, we will assume that you would like to autorenew and charge your account. Members receive, exclusive advertising and networking options, and additional exposure for their companies or organizations. Members receive an online listing helping interested parties find your Company. Chambers put you in direct contact with potential leads. Expos and conventions frequently take place. Chamber leads groups put you in direct contact with other professionals in the area for networking purposes. Our networking events make it infinitely easier to make connections with other business in the area, whether you are trying to increase sales or learn from peers as to how they have dealt with difficult business issues. Mailing list access: You have the chance to directly market to other business owners and to those who may require your services/products through our weekly Newsletter, social media and website. County Tipperary Chamber may terminate membership for failure to pay membership fees. In addition, during any period in which member payments, for membership are overdue, we may suspend all or part of the provision of any services to the member in question. 1. Membership fees are based on a company’s total headcount. 2. All membership fees are payable annually in advance. 3. Membership of County Tipperary Chamber is subject to a minimum term of at least 12 calendar months. 4. The Membership fees are set annually by the Board of Clonmel Chamber CLG t/a County Tipperary Chamber at it’s annual AGM.